Just when you think you have heard everything about Honda’s ASIMO robot, Honda finds a way to keep the spotlight shining on their incredible robot. On May 13th, ASIMO will make history and become the first robot in history to conduct a professional Orchestra. 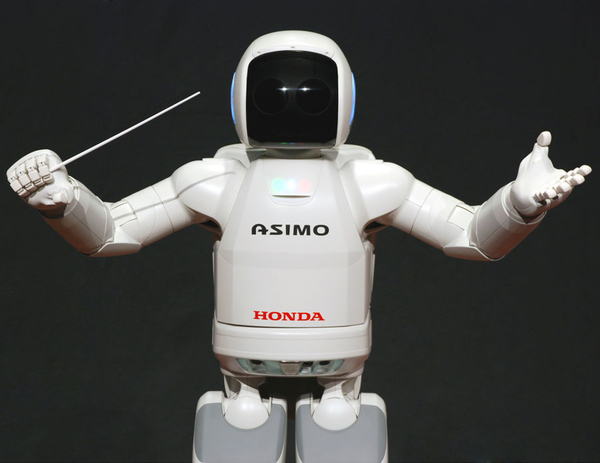 ASIMO will conduct the Detroit Symphony Orchestra, and will perform “Impossible Dream” to open the concert. Honda’s goals are admirable. They hope to use this popularity to attract attention to the Detroit Symphony Orchestra’s music education programs. What will ASIMO do next? Via Akihabara News.